You might enjoy listening to this. Its a talk I gave at Unity Church in Taos. When it goes to Jenny Bird's guitar music, the people present are creating a group poem, one person, one line at a time. You might take that time reflect on the seeds of life that you water and those that others have watered in you. Or just relax, or skip forward! Jenny Bird sings a very lovely song and then there is an exchange of questions and answers before I read the completed poem. The link has the previous 6 months of talks. So scroll down to Rose Gordon, December 1, 2014 or enjoy some of the other speakers. You might like to listen to this interview about Restorative Justice on Peace Talks Radio! It includes me, Chris Weathers of Taos and the RJOY program in Oakland! Council is a circle of communication that draws on the practice of story telling. Its roots lie in Quaker and Native traditions. It’s a process based on the appreciation of diversity rather than consensus; inviting the expression of individual experience as a means to deepen and clarify collective understanding. In Council we’re encouraged to listen to ourselves & others with open minded attention, free of the need to respond or create judgments about each other’s comments. We practice listening and speaking from a place that honors each person’s experience; creating an atmosphere of appreciation that increases the potential for creatively exploring issues and allows us to hear the arising of group wisdom. In Council the total is greater than the sum of the parts. 1. Speak freely, trusting that what you have to offer is useful to the whole. Speak from a place that is real and alive in the moment. 2. Listen attentively. Allow yourself to receive the words of the circle the way earth receives rain, without prejudice. Let your whole body do the listening. 3. Speak spontaneously. If you are planning your words you aren’t listening to others. 4. Be lean of expression. Say enough to express yourself and trust that you will be understood. 5. Don’t share another’s story without their express permission. 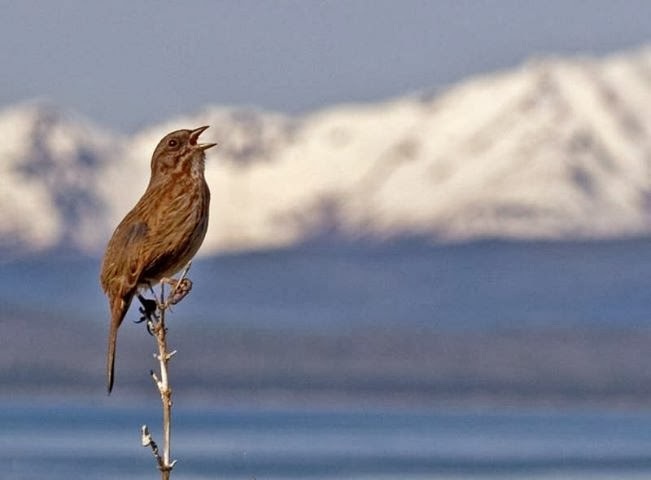 A bird sings, with no question of the beauty of its song, or its worth. Its whole being is engaged in the vitality of the moment. This vitality is a whole hearted engagement in the present moment that can be expressed up until our last breath, as a simple and courageous expression of who we truly are. An expression that goes beyond our personality and beyond what we usually call "action". When we allow ourselves to be, just as we are, during all the stages of our life, we give a precious gift to ourselves and to life as a whole. Consider this quote by Martha Graham, the amazing dancer and choreographer. "There is a vitality, a life force, an energy, a quickening that is translated through you into action, and because there is only one of you in all time, this expression is unique. And if you block it, it will never exist through any other medium and it will be lost. The world will not have it. It is not your business to determine how good or bad it is nor how valuable nor how it compares with other expressions. It is your business to keep it yours clearly and directly, to keep the channel open. You do not even have to believe in yourself or your work. You have to keep yourself open and aware of the urges that motivate you. Keep the channel open. We came from Afghanistan, Pakistan, Bangladesh, India, Indonesia, the Phillipeanes, Egypt, Uganda, Tanzania, Myanmar, Japan, Lebanon, Nepal, Kashmir, Sri Lanka, Thailand, Malaysia and the U.S. We came in shades of white and brown, with a rainbow of national dress, music and foods. We spoke many languages, but communicated with one heart; sharing dreams of freedom; dreams of peace and justice and an end to violence. Many participants are already translating their dreams into action; working as Human Rights Lawyers or Social Workers, working in NGO’s that support and assist refugees, orphans or juveniles who attempted suicide bombings. Some are working towards Gender Rights, many work with youth. Others work with UNICEF or work in development sectors. Together the participants and resource staff represented over 160 years of experience in Peace and Human Rights Activism and related activities. IIPS arranged an impressive series of presentations for this group of educated and experienced young professionals. Presentations by Thai, South Korean, Japanese and U.S. scholars covered topics of Ethnicity, Gender and Power, Structural Violence and Ghandi’s Theories and Practices on Non-Violence. There were talks and experiential exercises addressing Deep Listening, Indigenous Wisdom, Conflict in Contemporary Thailand, Global Governance, Peace and Human Security, Approaches to Analyzing Conflict and Approaches to Conflict Transformation as well as new information on the experience of Fukishima and movements towards Asian Democratization. Visits to Buddhist Temples, Mosques and Christian Churches were part of the curriculum along with time at rural, self-sustaining inter-faith communities outside Bangkok and Chiang Mai. At IIPS, PEACE is not just a word or a theory. It’s translated into action - sharing a room with 1 or 2 “strangers” who become friends; eating and working on presentations together, laughing and dancing and listening to the details of one another’s daily life. And lots of open minded discussions of history, religion and politics, even if it occasionally took us to uncomfortable places. 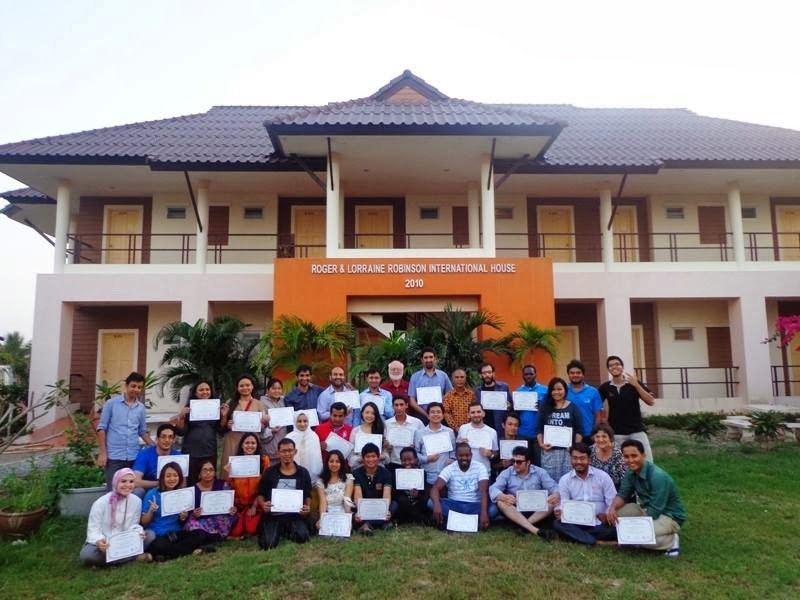 Many thanks to AMAN, ARF and IIPS for their vision, hospitality, thoughtfulness and commitment in providing a life-changing experience and depth of learning for everyone at the 2014 IIPS Peace Studies Course in Thailand..